The Discover Bank online savings account is a great option to look at if you want to earn more interest on your spare cash. 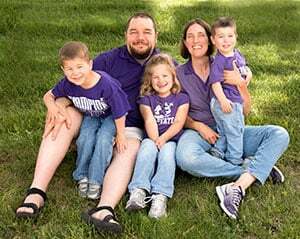 We have a number of accounts with Discover Bank so I’m doing this Discover Bank online savings account review to share my experience with their platform and services. We’ve moved a total of five savings accounts to Discover over the past three years as a means to earn more on our dedicated savings buckets. We do most of our online banking with USAA, but they fall way short on interest rate. Since we love the customer service over at USAA, it was rate alone that got us to move our accounts over to Discover Bank. Through my research it seems as if most online banks start around the .70% or so rate on high-yield savings accounts. That’s not really any good, historically speaking, but is the climate we’re in now. 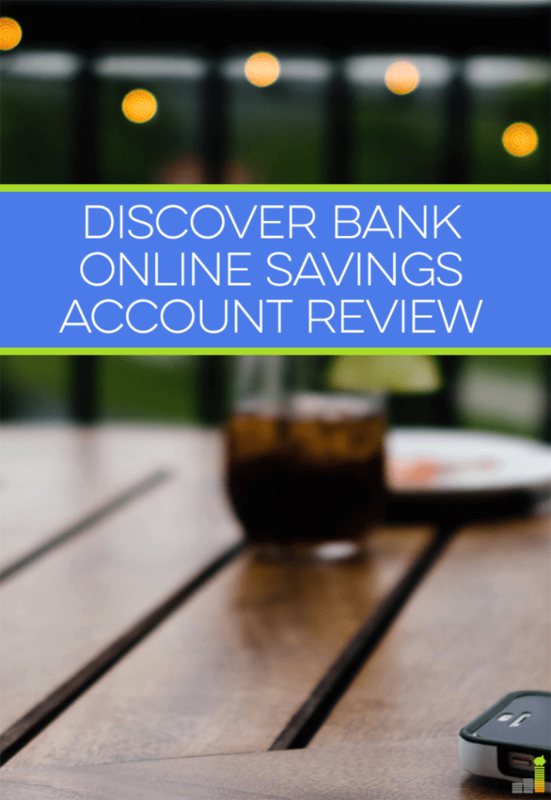 I decided on the Discover Bank online savings account as they have one of the most competitive rates (starting at 1.15%) and have been incredibly easy to work with. If you want a higher rate, you can open an account with Synchrony Bank, who is currently paying 1.85% on all balances, with no minimum balance requirement. 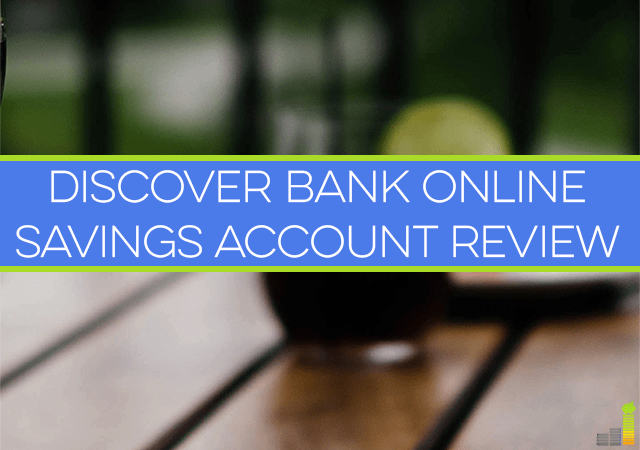 If you want or need a new online banking option, this Discover Bank online savings account review should help you determine if they’re the online bank for you. Discover Bank online now requires no minimum balance to open an account. Everything is done online. I love this as Discover Bank makes it incredibly easy to automate transfers. 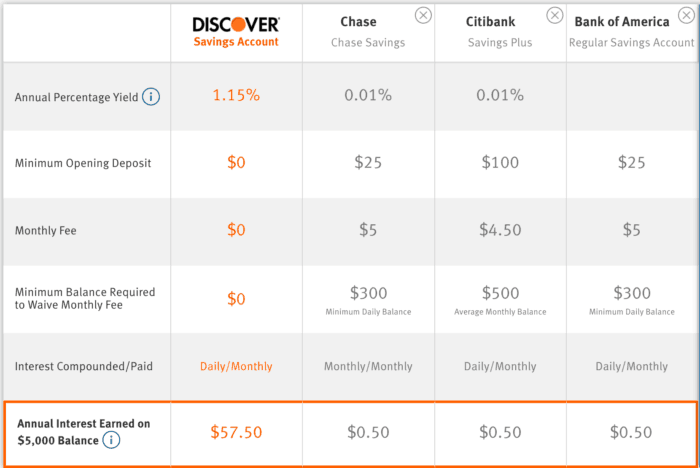 Discover allows up to six transfers (per account) out a month, after which there is a $15 per withdrawal charge. It’s important to remember this is a federal regulation and not specific to Discover Bank. You can fund your Discover Bank online savings account in a number of ways from ACH, to wires to mailing in a check. If you have multiple accounts with them, Discover allows you to move funds from one to the other in seamless fashion. ACH funds are available the day Discover receives them. Discover Bank charges no monthly or maintenance fees. The interest is compounded daily and credited to your account monthly. Access to other Discover Bank products like money markets, CD’s, IRA’s and more! You can set up automatic deposits into your Discover Bank high yield savings account which is a great tool to use. Discover Bank has 24/7 customer service and is incredibly helpful. The Discover Bank online savings account is FDIC insured up to $250,000. 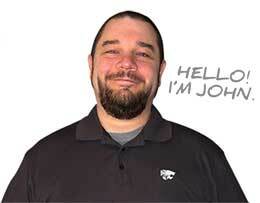 My experience opening our Discover online savings accounts was relatively painless. I didn’t time it, but took five minutes at most and was ready to go with the account once done. My favorite part of the account opening process is that it’s done completely online. You choose which type of account you want. We have a joint account so both my wife and I have access to it. You next input your bank account information. This is assuming you go the ACH route which I highly recommend. Discover Bank then either connects to your bank to verify it which is done in real-time or they put two small deposits into the bank account to verify. The latter took me two business days total. The last part is to fund the account with your chosen amount. If you go with the latter bank account verification option they will process the deposit once you verify the amounts. All totaled the initial funding process took three business days. It’s no surprise that savings rates are horrible. That’s just the nature of the beast right now until we enter a more competitive interest rate climate…which we might see at some point, though who knows. That can make it a challenge to grow your cash savings by at least a little bit if you’re not wanting to put it into the stock market or tie it up in CDs. Thus, a look at some high-yield online savings accounts makes sense if you want to earn a little something on your spare cash. Again, you can find a higher rate with Synchrony Bank, paying 1.55% on your savings with no minimum balance. We chose the Discover online savings account option as they are on the top end of the competitive range. As we have several larger goals we’re saving for this made Discover Bank a no-brainer as we’re trying to earn as much as possible on our cash. If you need a new option for a high-yield savings account, Discover Bank offers some great tools and has been incredibly easy for us to use. Ultimately, if you’re working to save for a specific goal then it only makes sense to earn as much on your money as you can. What rate are you earning on your savings account? Do you use online banks to try to increase your return?